An Administrative Reforms Commission will be established to prepare a detailed blueprint for revamping the public administration system completely so as to make it more performance-oriented and accountable. While basic governance is the priority, e-governance will be promoted on a massive scale in areas of concern to the common man particularly, like land records, tax administration, etc. All government agencies but particularly those that deal with citizens on a day-to-day basis must operate in a responsive and accountable manner. 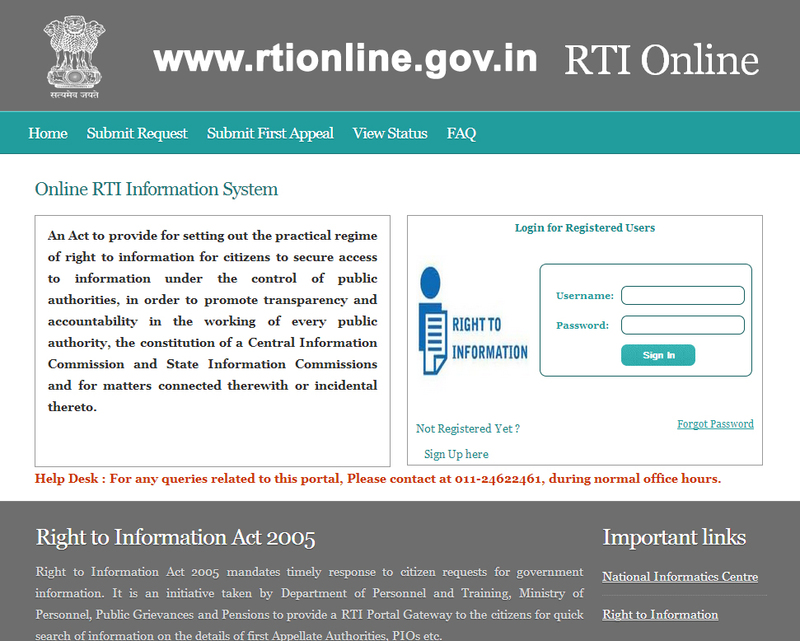 The Right to Information Act at the centre will he made more progressive, meaningful and useful to the public. The monitoring and implementation of the Act will he made more participatory and the penalty clauses regarding delays, illegal denials and other inadequacies relating to the supply of information to the public will be operationalised soon. Protection will be extended to all “whistleblowers” through statutory means, if necessary. The police force will function in an impartial, professional, effective and humane manner. The special needs of police families, especially in education and housing, will be taken care of in adequate measure. More women will encourage to join the police force. Immediate measures will be taken to drastically cut delays in courts, particularly in the High Courts and in lower levels of the judiciary. Legal aid services will be aided. Alternative dispute settlement mechanisms will be strengthened. A new system of nyaya panchayats will be instituted. 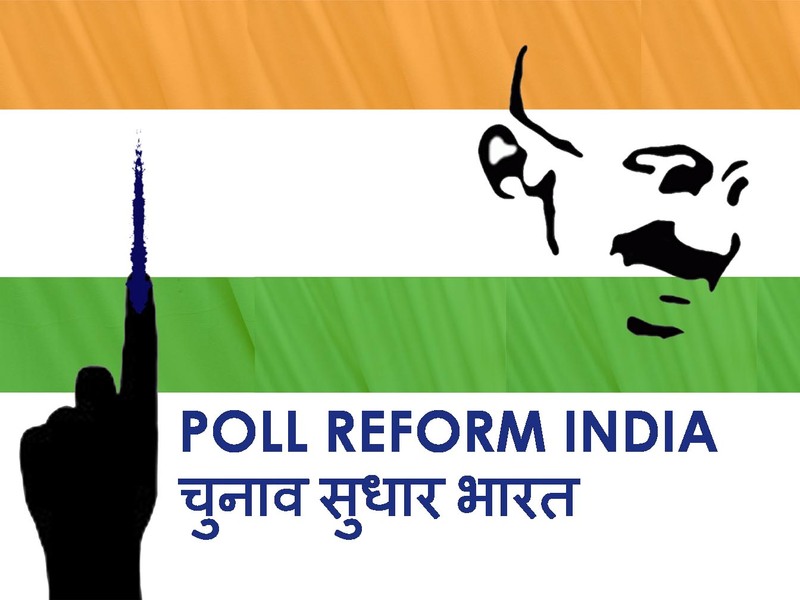 The Congress is deeply committed to electoral reforms. It was the first party to set up a committee to review its system of financing to ensure maximum transparency. It was the only party to welcome last years Supreme Court order on disclosure by candidates that was opposed by the BJP and it allies. The Congress will tackle the root causes of corruption and the generation of black money. To a large extent, deregulation, removal of laws that have outlived their utility or have not fulfilled their social purpose, transparency in party financing and state funding of elections will help. The UPA Government will take the leadership role to drastically cut delays in High Courts and lower levels of the judiciary. Legal aid services will be expanded. Judicial reforms will be given a fresh momentum. Setting up of Gram Nyayalayas At the headquarters of the intermediate panchayats and mobile courts in the rural areas will bring to the Aam admi speedy, affordable and substantial justice. • India ratified the United Nations Convention Against Corruption in May, 2011. • The Convention has entered into force for India on 8th June 2011. • The Lokpal and the Lokayukta Bill has been already introduced in the Parliament. • Benami Transaction (Prohibition) Bill 2011 introduced in Parliament. The Bill elaborately covers definition of ‘benami’ property and transaction, and prohibits benami transactions. 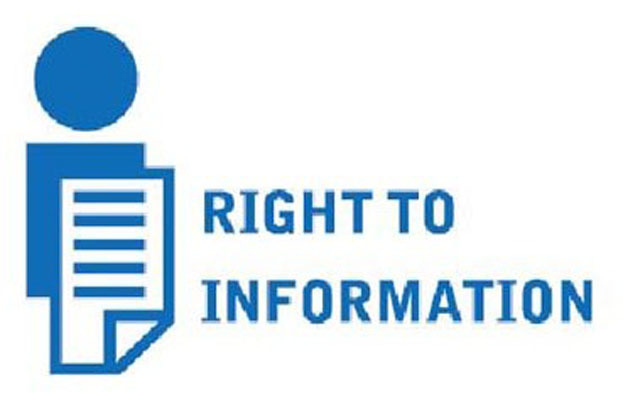 • UPA is the Only Government in Modern India to pass the Historic Right to Information Act, 2005 to usher in transparency in governance through citizen participation. • A Directorate of Criminal Investigation (DCI) has been created as an attached office of the Central Board of Direct Taxes (CBDT) to track financial transactions relating to illegal / criminal activities, including illicit cross-border transactions, from the direct tax angle and bring such activities to justice. • CBDT is coordinating with the Election Commission of India (ECI) for controlling political expenditure and verification of affidavits filed by candidates of political parties. • One of the important initiatives taken by the Government is the introduction of the Benami Transaction(Prohibition) Bill 2011. • This comprehensive legislation was introduced in the Lok Sabha on 18 August 2011 and is currently being examined by the Standing Committee on Finance. • It will iron out the infirmities in the Benami Transaction (Prohibition) Act enacted in 1988 and formalise the procedure for implementing the benami law, including the procedure for determination, confiscation, prosecution, and miscellaneous requirements. • This Bill defines benami property and a benami transaction in terms of a transaction or agreement where a property is transferred to or held by a person for a consideration provided or paid by another person. • Such a property is held for the immediate or future benefit, direct or indirect, of the person providing the consideration. A transaction or arrangement in respect of a property carried out or made in a fictitious name or where the owner of the property is not aware of or denies knowledge of such ownership is also included in the definition of benami transaction. • The Bill specifies the consequences of benami transactions in the form of confiscation of the benami property and imprisonment up to two years in addition to a fine. • This Bill also provides the procedure for enquiry and determination of benami property and its consequences as well as the authorities empowered to act for this purpose, including the appellate authorities. • The Government constituted a Joint Drafting Committee on 08.04.2011, consisting of five nominee Ministers from Government of India and five nominees of Anna Hazare (including Shri Hazare himself), to prepare a draft of the Lokpal Bill. • Based on the deliberations of the Committee, and on the basis of inputs received from Chief Ministers of States and political parties, Government prepared a revised Lokpal Bill, 2011 which was introduced in the Lok Sabha on 04.08.2011. • The Government introduced a new comprehensive Lokpal and Lokayuktas Bill,2011 in the Lok Sabha on 22.12.2011 to establish the institution of Lokpal at the Centre and Lokayukta at the level of States along with the Constitution 116th Amendment Bill, 2011 to provide for the Constitutional status to these bodies. • These Bills were taken up for consideration by the Lok Sabha on 27.12.2011. • The Lokpal and Lokayuktas Bill, 2011 was passed with certain amendments whereas the Constitution 116th Amendment Bill, 2011 could not be passed with the requisite majority required for Constitutional amendments. 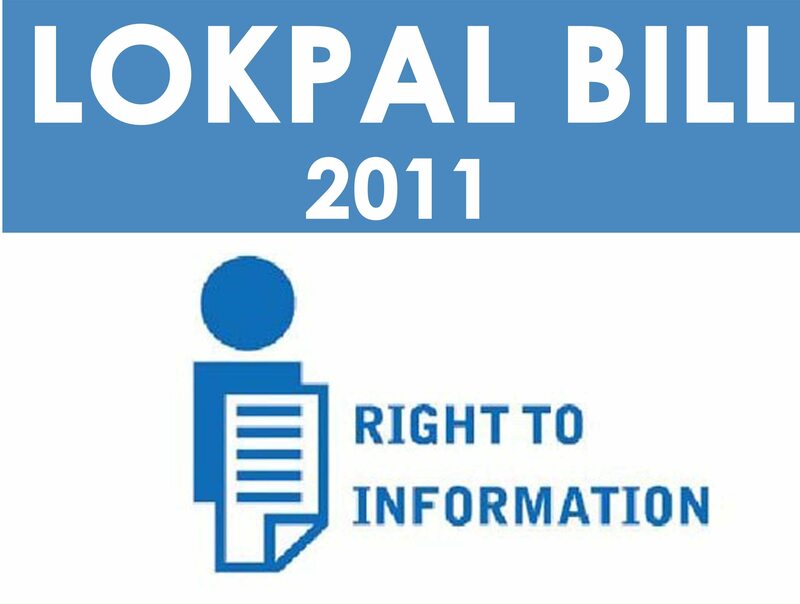 • The Lokpal and Lokayuktas Bill, 2011 was taken up for discussion and passing in the Rajya Sabha on 29.12.2011. • The Bill was taken up for consideration and passing in the Rajya Sabha, which referred it to a Select Committee. • On February 5th, 2013, Cabinet accepted most recommendations of the Select Committee, Bill was stated to be introduced in Budget Session, but could not be taken up because of opposition disruption. • The Government had issued a Resolution dated 21st April, 2004 authorizing the Central Vigilance Commission as the designated agency to receive written complaints from whistle blowers. • The said Resolution also, inter alia, provides for the protection to the whistle blowers from harassment, and keeping the identity of whistle blowers concealed. 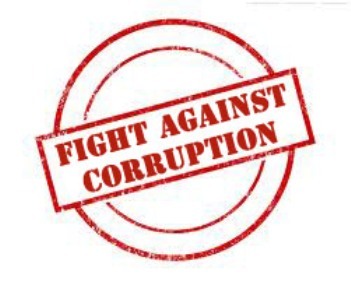 • As it was felt that the persons who report corruption need statutory protection, a Bill titled “The Public Interest Disclosure and Protection to Persons making the Disclosures Bill, 2010” was introduced in Parliament. • Significantly, the recommendation for change of name of the Bill was accepted and the Bill was amended as “The Whistle Blowers Protection Bill, 2011”. • The recommendation of the Standing Committee for bringing the members of Council of Ministers, the judiciary including the higher judiciary, regulatory authorities,etc. within the ambit of the Bill was accepted, with the exception of Judges of the Supreme Court and the High Courts since aspects of whistle blowing in so far as they relate to judges of the Supreme Court and High Courts, has already been taken care of in the Judicial Standards and Accountability Bill, 2010. • The recommendation of the Standing Committee for inclusion of Armed Forces, Security and Intelligence Agencies, etc within the purview of the Bill was also accepted by the Government. Official amendments were moved for this purpose. • The Cabinet has approved a proposal to set up a special purpose vehicle -GSTN (GSTN SPV) for providing shared IT infrastructure and services to central and state governments, taxpayers, and other stakeholders for implementation of the goods and services tax (GST), both before and after the rollout of GST. • During the pre-GST stage, the services on offer would include taxpayer utility, common return submission along with tracking mechanism for inter-state trade, common tax payment gateway, common registration for states (value-added tax [VAT] and central sales tax [CST]) and centre (central excise and service tax) and building interface between the GSTN Common Portal and state/centre tax systems. • The Judicial Standards and Accountability Bill, 2010 was introduced in the Lok Sabha on December 1, 2010. • The Bill was introduced by the Minister of Law and Justice. • The Judicial Standards and Accountability Bill tries to lay down enforceable standards of conduct for judges. • It also requires judges to declare details of their and their family members’ assets and liabilities. • Importantly, it creates mechanisms to allow any person to complain against judges on grounds of misbehaviour or incapacity. 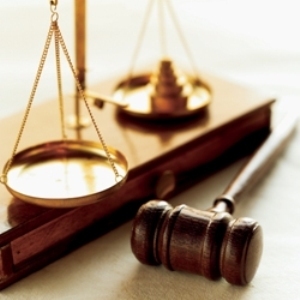 • The Bill establishes three bodies to investigate complaints against judges: the National Judicial Oversight Committee, the Complaints Scrutiny Panel and allows for the constitution of an investigation committee. • The Bill is now pending in Rajya Sabha, was slated to be introduced in the Budget Session, but couldn’t be introduced due to opposition disruption. • The National Mission for Justice Delivery and Legal Reforms was launched in the Department of Justice for increasing access to justice by reducing delays and arrears, enhancing accountability through structural changes and setting performance standards and capacities. • An amount of Rs 595 crore was released to the states for infrastructure development for the lower judiciary in 2011- 12. • Funding pattern for this purpose between the centre and the states was revised from 50:50 to 75:25, making the scheme more attractive for states. • Under the 13th Finance Commission award, Rs1353 crores was released to the states in 2010-11 and 2011-12 for special courts, lok adalats and training of judicial officers. •Our domestic laws are substantially compliant of the mandatory provisions of the UN Convention except the requirement relating to bribery of foreign public officials and private sector bribery. • The Bill empowers the Central Government to enter into agreements with other countries (contracting states) for enforcing this law and for exchange of investigative information. • The Government had constituted a Group of Ministers (GoM) in January, 2011,to consider measures that can be taken by the Government to tackle corruption. • The Group’s mandate was to put in place comprehensive roadmap for strategizing and spelling out measures for tackling corruption in Government. • The Group of Ministers (GoM) set up in January 2011 to consider measures to tackle corruption has submitted two reports. • Government has accepted the recommendations of the Group with minor modifications. • In pursuance of this, In 2011, Government had directed that requests for sanction of prosecution are to be decided upon by the competent authority within a period of three months. • Government decided that for all officers of the central government above the rank of Joint Secretary, the competent authority to approve initiation of enquiry/investigation under Section 6A of the Delhi Special Police Establishment Act will be the Minister-in-charge in the Government of India. • Government has also accepted the recommendation of the GoM to put in place regulatory parameters for exercise of discretionary powers by Ministers and to place them in public domain. 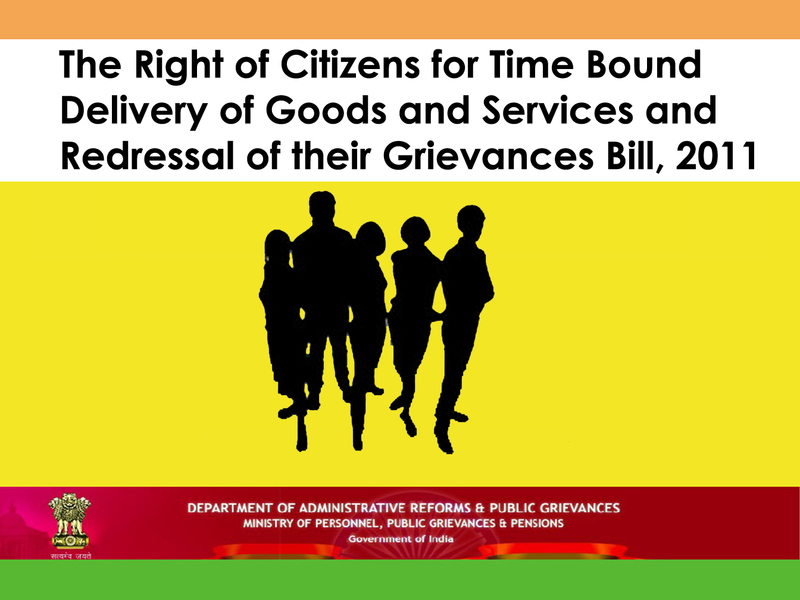 • The Government recently introduced the Right of Citizens for Time Bound Delivery of Services and Redressal of their Grievances Bill, 2011 in Parliament. • Under the Bill every public authority is required to publish a Citizens Charter specifying the category of goods supplied and services rendered by it, the time frame within which such goods shall be supplied or services be rendered; to establish information and facilitation centre for efficient and effective delivery of services and redressal of grievances and to designate Grievance Redress Officers (GRO) in all public authorities to enquire into and redress any complaints from citizens. • The Bill provides for constitution of the State Public Grievance Redressal Commission and the Central Public Grievance Redressal Commission for respective appeals against the decision of GRO and imposition of penalties in case of failure on the part of designated official responsible for delivery of goods and services or GRO. • The designed authority at the grass-root level will have powers to redress most of the grievances at the district and sub-district level. • The Bill was introduced in the Lok Sabha on December 20, 2011. • The Bill was referred to the Department Related Standing Committee on Personnel, Public Grievances, Law and Justice. • The Report was submitted on August 30, 2012. •The Department of Administrative Reforms & Public Grievances (DARPG) has taken major Citizen Centric initiatives related to public grievance redress during the year. • The National e-Governance Plan was approved by the Government with the vision to “Make all Government services accessible to the common man in his locality, through common service delivery outlets and ensure efficiency, transparency & reliability of such services at affordable costs to realize the basic needs of the common man”. • A network of more than 100,000 Common Service Centres for electronic delivery of public services to citizens in rural areas has been rolled out. • Computer software tools and fonts have been made available in 22 Indian languages in 24 States. • Till 2012, Pilots for delivering high-volume, citizen-centric e-Governance services have been implemented in 88 districts across seven states under the e-District Project. • The MCA-21 e-Governance project for facilitating business by simplifying and reducing documentation was carried forward by enabling online allotment of the Director Identification Number and integrating it with the Income Tax PAN. This will substantially reduce delays in incorporation of a company. 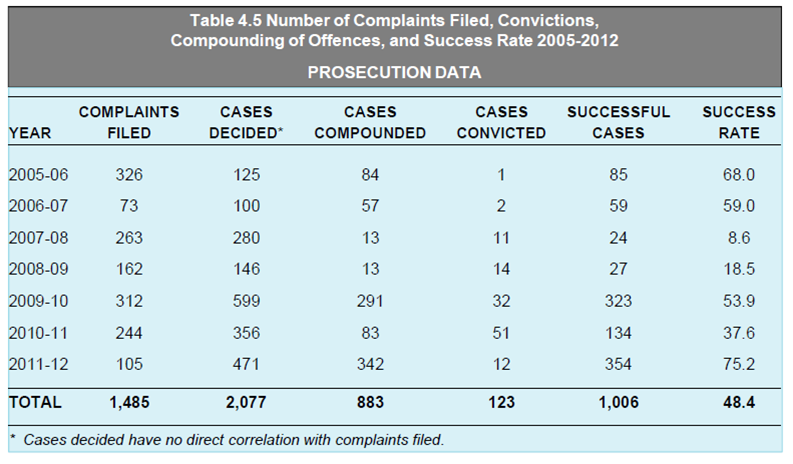 • A record 15 lakh annual reports were filed during 2011 with a peak of 70,000 filing on a single day. • Rules have been amended to facilitate payments by direct credit to the bank accounts of payees. • A secured electronic payment system, through “Government epayment gateway” has been commissioned to facilitate this process. • This measure will streamline the process of making payments,minimize the interface of the payees with Government offices and will usher in green banking. • Following the announcement made by the Prime Minister in his Independence Day address of 2011, the Public Procurement Bill, 2012 has been drafted and approved by the Cabinet. • The Bill seeks to regulate public procurement by all Ministries and Departments of the central government, Central Public Sector Enterprises and bodies controlled by the Central Government to ensure transparency, fair and equitable treatment of bidders, promoting competition and enhancing efficiency and economy in the procurement process. • The Bill is based on the recommendations of Committee on Public Procurement which were accepted on February 22 , 2012 by a GOM, to tackle corruption. • The Bill would create a statutory framework for public procurement which will provide greater accountability, transparency and enforceability of the regulatory framework. • The Public Procurement Bill, 2012 was introduced by the Ministry of Finance in the Lok Sabha on May 14, 2012. • The Committee under the aegis of Legislative Department and in co-sponsorship of the Election Commission of India conducted seven regional consultations at Bhopal, Kolkata, Mumbai, Lucknow, Chandigarh, Bengaluru and Guwahati, wherein the stakeholders have been consulted, who inter-alia included leaders and workers of the political parties, legislators, legal luminaries, representatives of NGOs, eminent persons, civil servants (serving and retired), students etc. and views have been gathered. • The issue of electoral reforms in its entirety, which inter alia includes the funding of elections, has been referred to the Law Commission of India for its recommendations. • Law Commission had been requested to submit concrete suggestions in this regard within three months from 16th January, 2013. • At the London summit of G-20 in April 2009, India played a major role in developing international consensus for taking action against tax havens. • Both the DTAA as well as TIEA are effective tax information exchange mechanisms.Since negotiation of a DTAA takes time, which can delay development of the mechanism for effective exchange, India has taken the plea that a country cannot refuse signing a TIEA if it has been requested byother countries. • It was again at India’s initiative that this position was accepted and now global consensus has emerged that a country cannot insist on a DTAA and must conclude a TIEA if requested by othercountries. • After this development, many countries that were earlier insisting on DTAAs, have now agreed to conclude TIEAs with India as well other countries of the world. • India is vice chair of the Peer Review Group of the Global Forum which carries out monitoring and peer review of the member and relevant jurisdictions. • The Multilateral Convention on Mutual Administrative Assistance in Tax Matters was developed jointly by the Council of Europe and the OECD . • The amended Protocol also provides for the opening of the Convention to all countries. India signed the Convention on 26 January 2012 and ratified it on 2 February 2012, thus becoming the first country outside the OECD and European countries to join it. • India, having met the strict evaluation norms of the FATF, was granted full-fledged membership (34th Member) in June 2010. Further, in recognition of India’s efforts in this regard, the Asia Pacific Group (APG) on Money Laundering and Terrorist Funding chose India as Co-chair of the Group at its annual meeting in Singapore in July 2010. • To facilitate the launch of prosecution in cases of evasion of taxes and speedy trial and early conclusion, provisions for constitution of special courts, summons trials, and appointment of public prosecutors have been included. • It has been provided that deduction on donations to charitable institutions, etc. will be allowed in excess of Rs 10,000 only if they are made in a mode other than cash. The return form has been modified and if a person claims deduction for charity and donation, he has to provide the details such as name, address, and PAN of the donor. • The electronic filing of tax returns has been made mandatory for individuals having total income more than Rs10 lakh and for resident individuals having any assets outside India. • In March 2009, in view of the stand taken by the G20 countries, Switzerland announced that it was willing to adopt the international standards on administrative assistance in tax matters and withdrew its reservations about sharing banking information and sharing of information in the absence of domestic interest. • After this change of policy, India moved swiftly and signed a Protocol for amending the DTAA with Switzerland on 30 August 2010, which came into force on 7 November 2011. • As per the revised DTAA, Switzerland is obliged to provide banking and other information in specific cases that relate to the period starting from 1 April 2011, with limited retrospective application. • 5 All the TIEAs signed by India have provisions for tax examination abroad. Most of the TIEAs signed by India also contain provision for obtaining past information either in all cases or at least in criminal cases. • PMLA 2002 is further proposed to be amended through the Prevention of Money Laundering (Amendment) Bill 2011, which is under consideration of Parliament. • In the last few years, more than 12,500 pieces of information regarding details of assets and payments received by Indian citizens in several countries including banking information have been obtained and are now under different stages of processing and investigation. • The number of surveys conducted and under-reported income detected over the last few years.